Soap has become one of our basic necessities because we use it to clean our bodies every day. But every person has different skin types and some are even very sensitive. So if you’re looking for a soap that has safe organic ingredients, then I highly recommend that taking a closer look at naturally-manufactured Ayurvedic Soaps. Although it is a bit more expensive than the traditional soaps out there in the market, Ayurvedic Soap offers a lot of health benefits to the skin and body and does not include any harsh or low-cost chemicals. This article will detail the top ingredients that one consumer should know and look for when buying Ayurvedic Soaps. Ayurvedic Soap came from one of the oldest medical systems known in the world – Ayurveda, which started off in India. The use of Ayurvedic Soap can energize the human body as well as support healing. Other benefits that one can get from using natural Ayurvedic Soaps will also be further discussed as the top ingredients of the product are listed in this informative and hopefully helpful piece. Do you have dry skin problems? 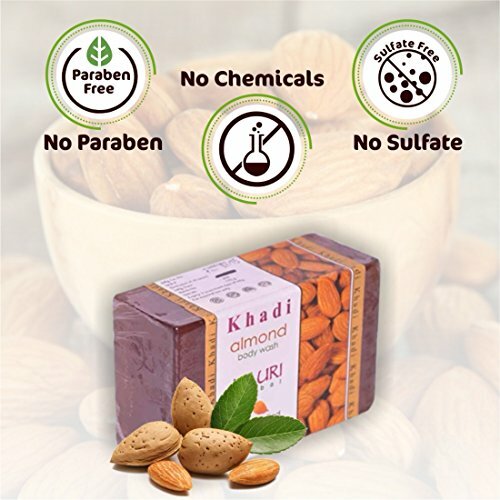 Ayurvedic Soaps with Almond is a great choice for you because it is known to help moisturize the skin. Almonds are rich in proteins and antioxidants and have been known to refresh, nourish and soothe the skin from itchiness as well as redness. Because almonds also have Vitamin E it allows the users of Ayurvedic Soaps to eventually have healthy, beautiful and glowing skin. 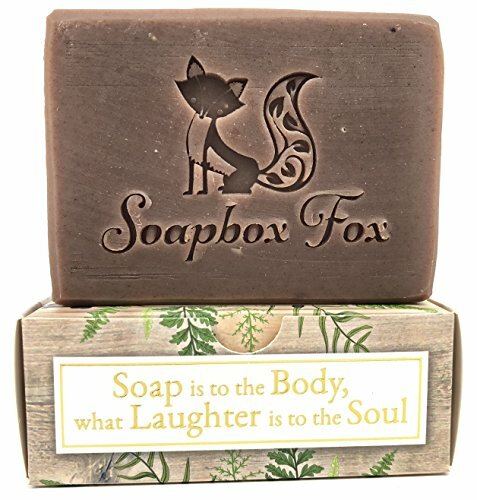 In addition, since they guarantee that there are no harsh chemicals, paraben or sulfate in this soap’s ingredients, the product will be able to revitalize the skin, fight body odors and have a fragrance that can last all day. See more from our article on the Best Almond Soaps. Turmeric is another must-have ingredient in Ayurvedic Soaps. Why? It is a spice that has been nurtured in tropical Southern Asia and this unique herb is still slowly gaining popularity for its natural purifying and healing properties. Ayurvedic Soaps with Turmeric is capable of detoxifying your body to give off pure skin as a result. One of the amazing skin health benefits of Turmeric includes natural treatment for some skin problems like acne. How? Turmeric has been known for centuries for its natural anti-bacterial property, so when added as an ingredient in Ayurvedic Soaps, it battles the acne first before bringing the skin back to its healthy glow. What else can a soap that has Turmeric do to your skin? It can also help in easing certain skin conditions like eczema, psoriasis and uneven skin pigmentation. One thing though, Turmeric doesn’t smell very appealing so, other natural ingredients such as peppermint oil honey or tea tree oil are often added. See more from our article on the Best Turmeric Soaps. Another ingredient in Ayurvedic Soaps that can help nourish the skin is Oatmeal. When used as a soap ingredient, oatmeal serves as a great skin cleanser, gentle exfoliator, and moisturizer that is suitable to all skin types. Oatmeal in Aryuvedic Soaps can also reduce skin rashes and itches that resulted from sunburn, eczema, chicken pox and even contact with the poison ivy plant. 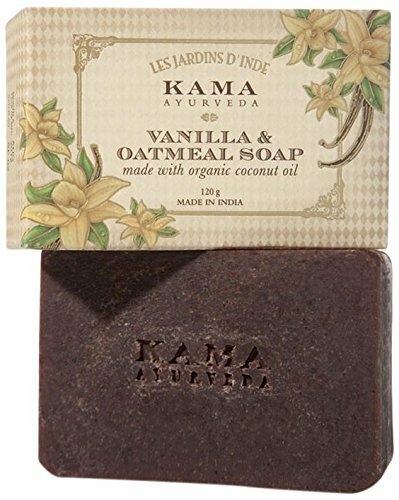 Oatmeal in Aryuvedic Soaps will gently exfoliate, moisturize and nourish your skin for a softer, smoother and clearer feel. Usually, vanilla is added and acts as the natural antioxidant and the oatmeal acts as the gentle exfoliator that can also help lessen skin dryness and increase the skin elasticity to delay the aging process. See more from our article on the Best Oatmeal Soaps. Having the Sandalwood ingredient in Ayurvedic Soaps will give the consumer a relaxing bathing experience. Like almond and oatmeal, Sandalwood Ayurvedic Soap can moisturize and cleanse the skin. Sandalwood, on the other hand, has antiseptic and antimicrobial properties that can give remedy to skin conditions, either big or small. Sandalwood Ayurvedic Soap will help in resolving dry skin and acne problems. It also has anti-aging properties and can control facial hair. How does the Sandalwood soap make the skin look fair and lovely? 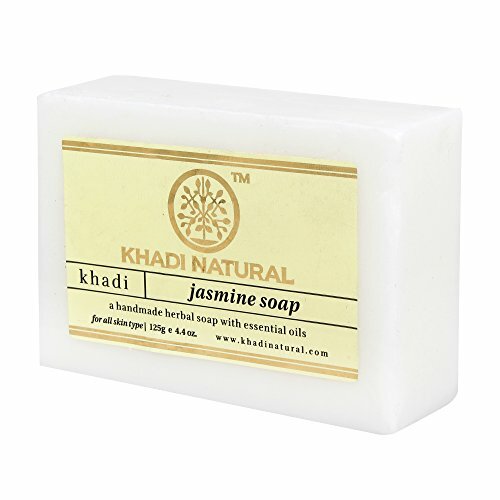 The Ayurvedic herbs and provitamins included in the soap will bring back the skin’s natural radiance and leave the body fresh throughout the day. See more from our article on the Best Sandalwood Soaps. Soap bars clean the body when bathing but some ingredients can also fight germs and bacteria that cause some skin conditions like rashes, acne, and redness. Ayurvedic Soaps that has Neem as the main the ingredients make an ideal skin cleanser capable of deep cleansing the pores. Those with Oily-Normal skin types can use Ayurvedic Soaps that has Neem to cleanse and purify the blemished or oily skin especially during the summer season. The non-GMO, gluten-free, biodegradable and Paraben-free Ayurvedic soap with Neem can leave a clean, cooled and rejuvenated skin. See more from our article on the Best Neem Soaps. Another great ingredient that can be used in making Ayurvedic Soaps is the Multani Mitti or also known as Fuller’s Earth. Multani what? Although it sounds scary, Multani Mitti is simply a type of clay that has a cooling effect. It is used to clean and exfoliate the skin in to attain a skin that’s free from blemishes. It has active elements that absorb oil, dirt, and sweat on your skin. What else can Ayurvedic Soap with Multani Mitti do? It reduces the appearance of skin impurities, dark spots, tan marks, and scars so the end result is usually a clean, soft and supple skin. Ayurvedic Soaps with Multani Mitti will also help in flushing out toxins and clear the acne marks. It will also aid in hydrating the skin and make it radiant. Soaps with 100% natural and organic ingredients are guaranteed to be gentle and suitable to all skin types. See more from our article on the Best Multani Mitti Soaps. 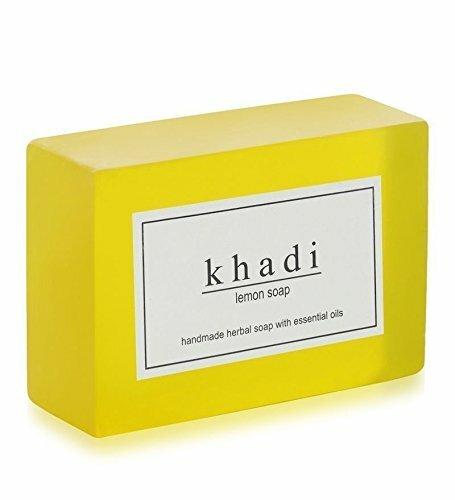 For those who wish to have an Ayurvedic soap that gives off a mild citrusy fragrance, lemon should be an active ingredient in the product. In addition, Ayurvedic Soaps with lemon are packed with Vitamin C and citric acid that clean, brighten and lighten the skin when frequently used. Lemon, which is a natural bleaching agent, is known to be used when one wants to get rid of dark patches on certain body parts like the elbows or the knees. Lemon also has antibacterial properties that help when it comes to eliminating blackheads. 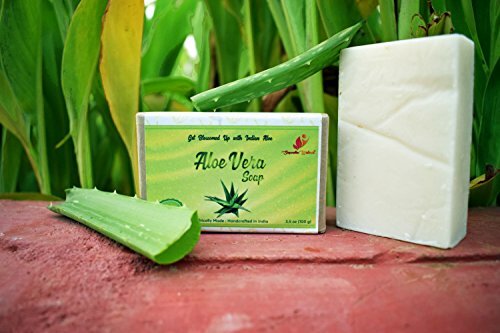 Aloe Vera is well known for cooling the skin or providing relief from a burning sensation. According to Kim Chang, an aesthetician and expert at the Baylor College of Medicine, Aloe Vera contains Vitamins A and C, antioxidants and enzymes. So having Aloe Vera as an active ingredient in Ayurvedic Soaps can help the consumer have skin that is free from redness or irritation. Aloe Vera has anti-inflammatory properties so it can also aid in treating burns and acne as well as dry skin. “The enzymes in it can also help exfoliate the skin to make it smoother, but if you are looking for something stronger I would recommend using a grainy exfoliator paired with a pure moisturizer,” Chang stated. Ayurvedic Soap with Aloe Vera also has anti-aging properties, moisturizing properties that can prevent having dry skin and it can lessen the visibility of stretch marks that are formed on the skin. A different ingredient that can be added when preparing Ayurvedic Soaps for a refreshing fragrant aroma is called Jasmine. It is widely known for the quality smell of their flowers so it can serve as a natural stress reliever in Ayurvedic Soaps. Aside from giving a relaxing effect to the body, Ayurvedic Soaps with Jasmine also has antiviral, antibacterial and antiseptic properties that enhance the immunity of the skin to maintain its healthy glow. Jasmine’s analgesic properties can also aid in relaxing the body muscles to relieve pain, stiffness and even sprains. If you love strawberry and the scent it produces, Ayurvedic Soap with Strawberry is the best choice for you. 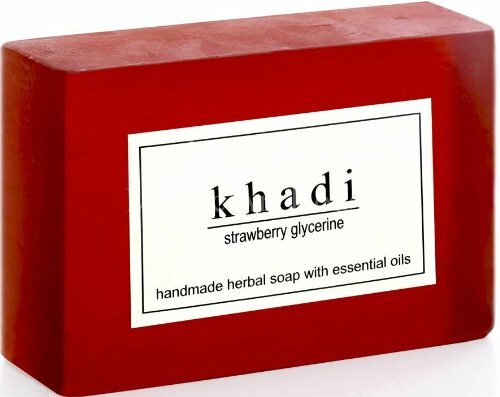 Ayurvedic Soaps with strawberry gives you a lot more benefits than just the scent because it is packed with Folic acid and the fruit’s antioxidant properties are capable of enhancing the skin’s immune system too. Strawberry Ayurvedic Soaps is considered a great toner too when used as it tightens the skin pores and is manufactured with pure fruit and vegetable oils to invigorate not only the user’s skin but also the senses. Since the product is naturally handmade and gentle, this type of moisturizing soap bar can also be used on babies and children. 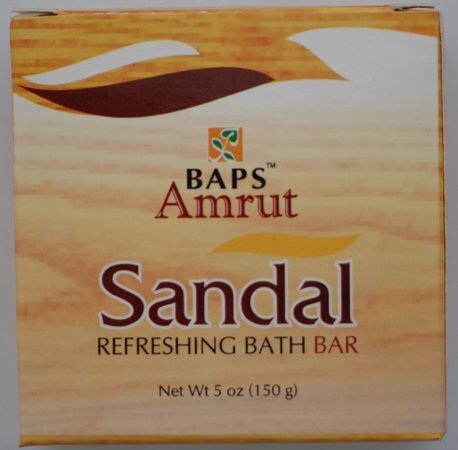 There are a variety of commercial manufacturers that produce Ayurvedic Soaps in either usual soap bars or in liquid form. 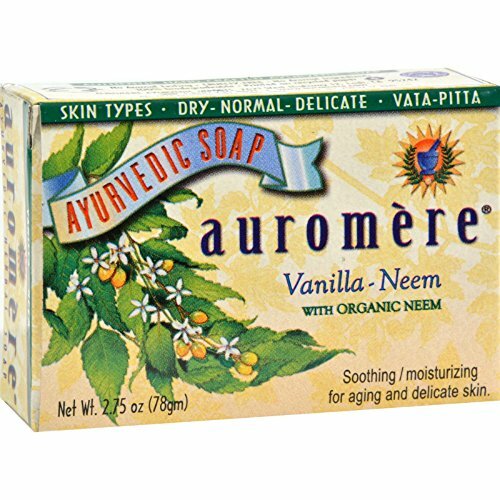 So, if you would like to try Ayurvedic soaps but prefer liquid soaps over bar soaps, there is hope! Most often than not, both bar and liquid forms are available per variant. If you also worry about the color and think that there might be colorants added, fear not. The ingredients used in making the Ayurvedic Soaps determine the product’s color, aroma, and texture so if you are purchasing a Lemon Ayurvedic Soap it is most likely going to be yellow and Red if you are buying a Strawberry Ayurvedic soap. Only natural ingredients can be found in Ayurvedic Soaps so there are no traces of harsh chemicals in the product that could cause skin irritation. Some of the Ayurvedic Soaps available would have a variety of vegetable oils, healing oils and glycerine. The other ingredients that can be added in the preparation of Ayurvedic Soaps are coconut oils for skin nourishment, orange oil to aid in lessening the appearance of pimples and ginger extract to relax the skin and make it firm. Ayurvedic Soaps also has antiseptic properties that help in protecting the skin from the ultraviolet rays of the sun. There is a wide variety of Ayurvedic items in the market today so consumers can now choose which product they prefer to buy and use in everyday life. But, one must still consider their skin-type first before purchasing the Ayurvedic Soap desired to avoid certain reactions or effects on the skin like rashes or redness. Also, it is recommended to make sure that the Ayurvedic Soap you have chosen is really safe to use because it does not have any artificial ingredients or harsh chemicals. This can be done by just simply checking or READing the product’s label or description before purchasing. Because there are some manufacturers that modify Ayurvedic Soaps so they will have both anti-inflammatory and antiseptic properties or even have particular warming sensations like enhanced relaxation or circulation, it is still highly suggested that you READ the label first before purchasing a product in case there is a particular ingredient that you do not want or are allergic to. We also tackled each ingredient individually. We took a closer look at the best turmeric soap, the best neem soap, the best oatmeal soap, the best sandalwood soap, and the best Multani Mitti soap! So please check those posts out. Feel free to share what you think – and your personal experiences with these soaps – in the comments section below!